Nobody likes change until it’s long become the past, and the relentlessly evolving world of media is no exception. As cinema was once feared to prove the moron-fuelled downfall of literature, it was only several years ago that the very idea of digitally distributed content had mobs of angry gamers reaching for their torches and pitchforks and, in the most extreme cases, sourly voicing their disproval on bustling web forums. 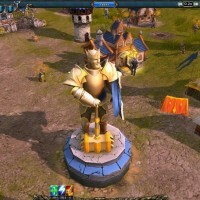 While the past few years have slowly reversed this attitude, with Xbox Live, PSN, WiiWare and Valve’s Steam all showcasing praiseworthy games at pocket money prices, episodic gaming has yet to fully exploit its success. The videogame industry does not take well to regular release schedules, and the games buying public are still adamant on receiving their games via those shiny round things. The one exception to this rule is of course Telltale Games, a comparatively small developer that came to attention with an adventure game (“point ‘n’ click” in the gaming vernacular) adaptation of Jeff Smith’s comic series Bone. Though the two Bone instalments saw only modest success, Telltale followed this up with a 6-part “season” of episodes based on another obscure comic book property, Steve Purcell’s Sam & Max. 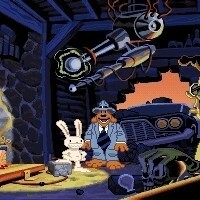 The gumshoe hound and his sociopathic rabbit buddy had already received a Lucasarts adventure game in the nineties, and their revival proved so popular that a second season was released the following year, swiftly pursued by a series of Strong Bad’s Cool Game for Attractive People episodes, featuring the wacky creations at www.homestarrunner.com. As sublime as Telltale’s Strong Bad effort was, its humour relied heavily on players having an understanding of the diminutive luchador and his esoteric companions. In this respect, the first episode in Wallace & Gromit’s Grand Adventures, Telltale’s latest adventure game franchise, already has something its predecessors lacked; familiarity. For those who have skipped the above history lesson and just want to know if the game is any good, then the answer is a distinctly vertical thumb. From the familiar theme music through to the handmade visual style, Fright of the Bumblebees will please both fans of the cheese-obsessed inventor and his long suffering canine companion and point n’ click veterans alike. As with their most recent animated adventure, A Matter of Loaf or Death, Fright of the Bumblebees sees Wallace and Gromit undertake yet another food-related business enterprise, this time involving the production of honey via the “Magnatronic Pullinator,” an enormous contraption that converts flowers into honey. It’s difficult to elaborate on the plot any further, as each new plot development is integral to the puzzle-solving structure of the game. What Telltales Games’ titles lack in budget and scope they compensate for with an intimate attention to detail that echoes the attitude of the Aardman Animation studio and series creator Nick Park. The game’s humour is of a far gentler nature than Telltale’s earlier titles, which regularly touched upon the bizarre, but for fans of the series (and who isn’t one?) there’s some great background gags. You’ll find frequent references to the duo’s past escapades dotted about the home, including a cameo by a certain pair of malevolent mechanical trousers, as well as numerous in-jokes that will keep older, smugger gamers amused, from the copies of Beeowulf and Humlet on Wallace’s bookcase to the robot chess player, on which the highest skills setting is “Deep Bleu.” It’s all so delightfully British. 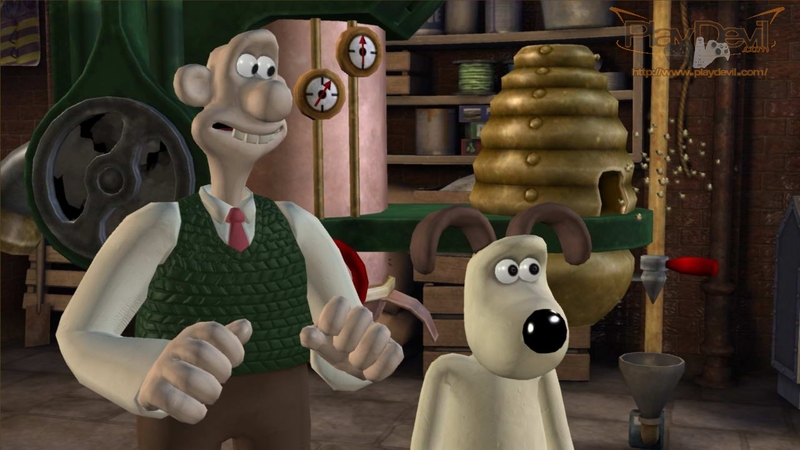 Player control alternates between the two, with Wallace commenting from afar while you guide the silent Gromit. Gromit’s frequent brow raising or shrugging never tires, and his relentless faith in owner Wallace as he goes off on yet another dim-witted tangent, or unleashes some elaborate automaton for the simplest of solutions, is captured perfectly here. But Fright of the Bumblebees does make the mistake of separating the titular double act far too frequently. The middle portion of the game, in which Gromit is relocated to the basement while Wallace traverses Wigan alone, is not nearly as entertaining, and the pair’s dynamic would have worked far better were they controlled collectively, à la Sam & Max. As with the Wallace and Gromit movie, The Curse of the Were-Rabbit, this game sees an expanded cast of background characters added to the quaint 62 West Wallaby Street residence and adjacent town. The game does away with dialogue trees, presumably to avoid alienating those inexperienced in this typically verbose niche genre, though without these long-winded conversations the Wigan natives never really transcend the simplest of stereotypes, from an elderly war veteran to rural plod PC Dibbins. Nevertheless, they are all handled with the utmost of care and, one freaky bat-eared squirrel excluded, all look and feel as thought they belong in the Aardman universe. Naturally, this is a game that should appeal to a wide range of ages. A fun tutorial shows you the basics with style and panache, while the trusty hint gauge is thankfully present, allowing players to tailor their experience according to their familiarity with the pointing and clicking skill sets. The puzzles aren’t quite as obvious as they were in either Sam& Max or Strong Bad, but they’re generally straightforward, or at least they seem that way from the outset… As is the nature of point ‘n’ click adventures, no action in Fright of the Bumblebees ever has quite the effect you might expect. Many a time will you’ll smile wryly at a solution to a problem which seemed impossible just minutes ago but is now blatantly obvious. It’s a surprisingly rewarding process, despite making you feel like a complete dunce. Perhaps Fright of the Bumblebees’most obvious break from formula is the new control scheme. Whereas in previous Telltale titles your protagonist has been directed with the mouse (or Wii remote) the Grand Adventures series has adopted a console-centric control system similar to the one used in Escape from Monkey Island, in order to better accommodate the upcoming Xbox Live version. Your character is controlled by the WASD or cursor keys, and item selection is handled with the mouse. It’s awkward at the best times, positively infuriating at the worst, and anyone used to playing mouse-driven adventure games will likely find themselves entering a room only to instantly exit it far too often. It’s a shame that Telltale found it necessary to fix something that wasn’t broken, and while the keyboard/mouse preset is tolerable a PC gamepad or 360 controller is definitely the way to go. The rusty, steam powered rig I tested Fright of the Bumblebees on ran it at the highest graphical settings without a single problem. The game’s models have been given a rough, pocked texture to lend our heroes the same tactile appeal as the original claymation’s Plasticine sculpts, fingerprints and all. 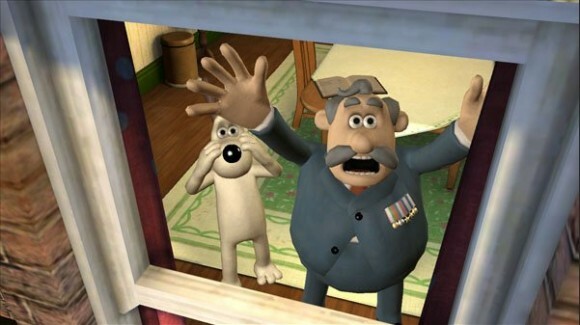 The limited locales often feel like diorama backdrops, though in the context of the Wallace and Gromit series one might argue that it adds to the game’s charm. As pretty as the game is, it does stumble quite severely in the sound department. 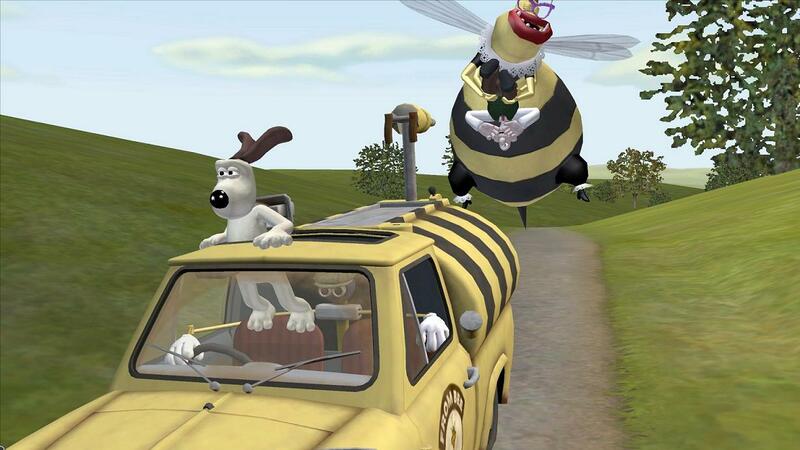 Perhaps the biggest disappointment is the lack of Peter Sallis as the voice of Wallace. Given the 88 year-old actors ailing health, this is an unavoidable issue, and the substitute talent is acceptable, if failing to nail the warmth in Sallis’s Northern accent. 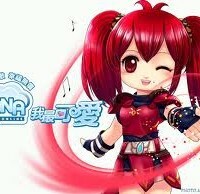 The music, including the unforgettable theme, is spot on, but is hindered by insufficient sound settings, with no option to adjust the voice and music volumes separately. On numerous occasions it is almost impossible to hear the conversations amongst the persistently bombastic brass band melodies, which in a dialogue driven game such as this is unforgivable. Subtitles are provided, with options for Spanish, German, French and Italian as well as English, but switching them on tends to blemish the game’s cinematic presentation. Fright of the Bumblebees is available to download now, with a further three episodes to be expected over the next three months. Unlike with the previous series, the episodes cannot presently be bought individually, which seems like a step back on Telltale’s part, and at $34.95 the series is a little more expensive than its predecessors. At 311MB it’s also a substantially larger download than the previous games were. 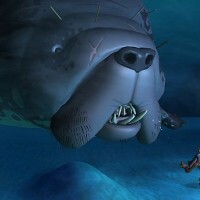 For a limited time, purchasing Fright of the Bumblebees from www.telltalegames.com will grant you a 50% reduction off of anything else in your order, so anyone who has yet to be subjected to the surreal witticisms of Sam & Max or the incomprehensible babble of Strong Bad has no excuse. And if this sounds like a shameless plug, that’s because it is. If any videogame company deserves it, Telltale Games does. Telltale Games’ previous series didn’t find their footing until they were several episodes in. 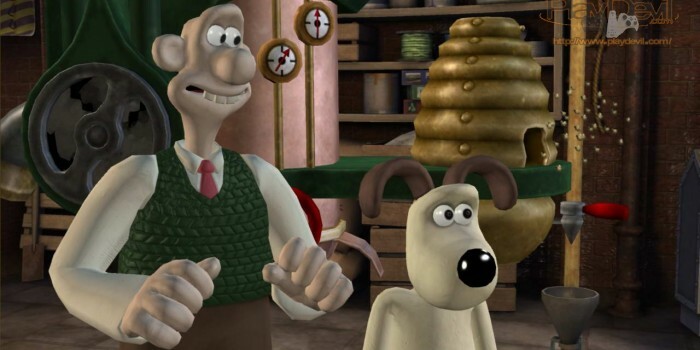 Technical issues aside, Wallace and Gromit’s episodic debut is a far more confident affair, if not nearly as bladder threateningly funny as Sam & Max’s finer moments. While only marginally longer in length it feels like a more substantial release, and is a great introduction to those unfamiliar with either Aardman’s charming creations or Telltale’s unique approach to gaming. Those acquainted with both of those won’t need persuading to buy this game – they’ll already be playing it.